There is a saying “it takes a village to raise a child” but Elementary Literacy Inc. (ELI) knows it can take a village to raise a reader. Last school year, over 950 students participated in their supplementary reading programs in nearly 150 elementary schools in New Brunswick. During the school year, the average student participant had increased their reading level by two levels over the 10-week period. Perhaps even more significant, was the consistent reports from teachers indicating an increase in reading confidence, skills and interest. These are three factors that research has shown impact reading development in early readers. These reading programs, Elf (Elementary Literacy Friends) and CLEF (Communauté littératie Enfants francophones), are volunteer-based and rely on trained community reading mentors to work one-on-one with Grade 2 students reading just below their expected reading level. Research shows that volunteers matched with these students can make a significant impact on reading skills. This boost in confidence and extra time on task can be just what’s needed to set the student up on a positive trajectory not just in reading, but for their entire academic career. While last year was one of huge growth for ELI, their goal is to be in all NB schools by 2017. This school year, ELI has offered the program to over 510 students in NB and programs are recruiting for nearly 180 schools. ELI programs provide volunteers with training and support, as well as all the materials necessary to mentor a Grade 2 student and the programs are offered to schools for free. This means tremendous gains for schools, communities and students in a province where over 50% of adults are without proficient literacy skills. 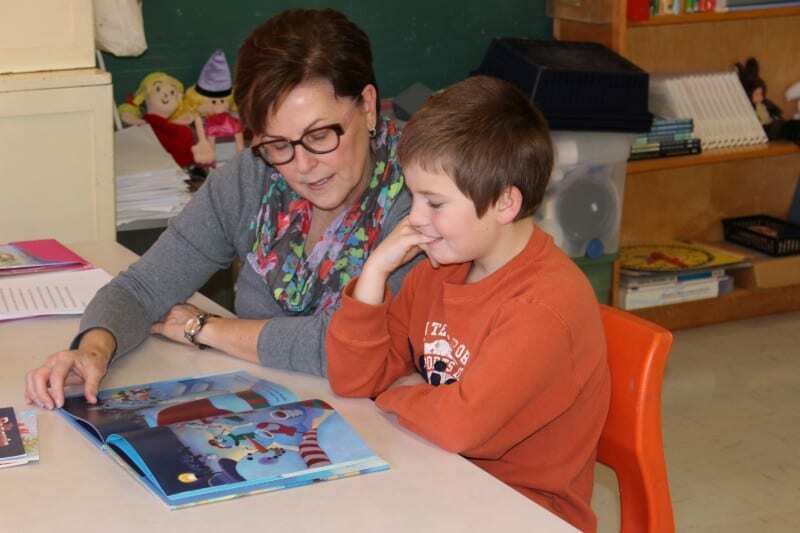 Elementary Literacy Inc. uses a partnership model connecting communities, the private sector, schools and the media to address New Brunswick’s persistent low literacy rates. Their collaborative movement is making an impact but as always, they need more volunteers willing to give one hour, twice a week. If you or someone you know is interested in getting involved, please register at elfnb.com or call 1.855.898.2533 for more information. For more information, please contact Catherine Barry, Elf Program Manager, Elementary Literacy Inc. at 506.443.2932 or catherine.barry@elfnb.com. This is a syndicated post. You can view the original post here: ELEMENTARY LITERACY INC. READING MENTORS ARE MAKING A DIFFERENCE.